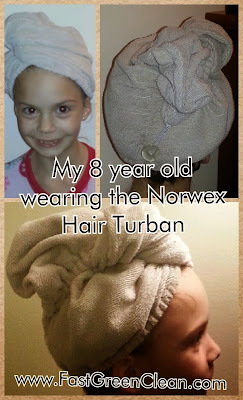 I have come to absolutely love the Norwex Hair Wrap (formerly Hair Turban). It seems so simple - and it is - but I absolutely can't imagine my mornings without it anymore. 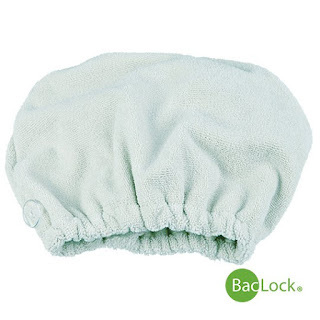 The Hair Wrap is this simple, absorbent hooded towel that is absolutely amazing at drying hair. 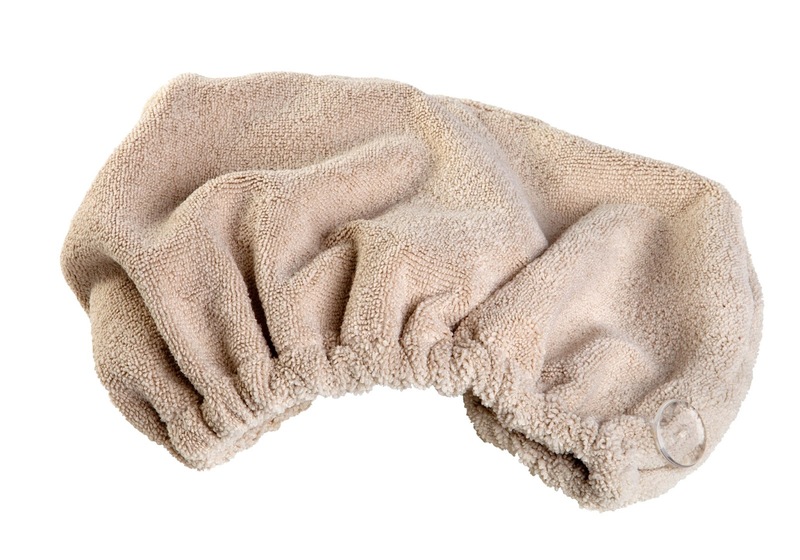 It can absorb 70% of moisture, which reduces drying time and results in fewer tangles. Less blow drying = healthier hair, and who doesn't want healthy hair?! I have relatively short hair (chin length) and I love it. I can only imagine what a lifesaver the hair wrap is for people with long or thick hair. It can also be used to comfortably hold rollers in at night. So, you might be thinking, how exactly does the hair wrap work? When you get out of the shower, bend your head forward so your hair falls towards your face - your chin should be near your chest. There is a button on the hair wrap (you can see it in the picture above) that goes in the back of your head, near your neck. I try to remember "B"=Button, Back. Then you tuck your hair into the front part of the wrap, twist the wrap, and hook the little loop (not pictured) around the button. You now have a secure, absorbent towel wrapped around your head. Your hair will be significantly dryer in a shorter amount of time. 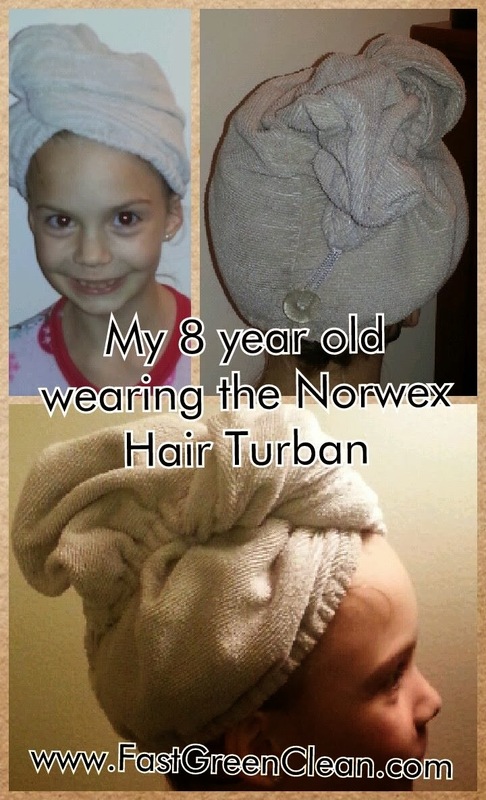 If you've used a Norwex Hair Wrap, or have questions about it, please comment here. I'd love to hear your stories and thoughts! Now available in Light Blue! The lightweight Hair Wrap quickly absorbs up to 75% of the water from your hair. Less blow drying means less energy used, as well as healthier hair! One size fits most.